The most common thing when a student leaves home to embark on a university adventure is to do it alone. However, you may prefer to share this experience with a friend, family, or even a stranger to feel the company of another person. For these cases, we offer you the rent of twin student rooms, equipped with two double beds (90×200), where the best and most lasting friendships are built. 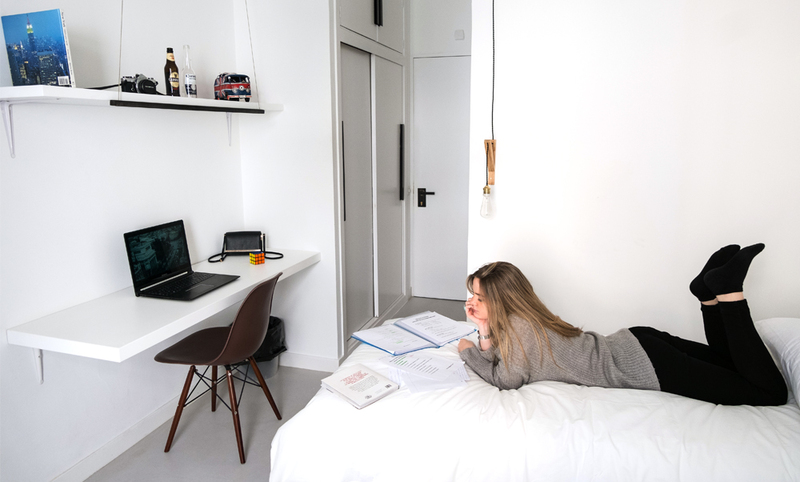 These are student rooms with very interesting views to the outside, and equipped with all the comforts of the other gold room models we offer. They are very spacious and perfect for two people. The wardrobe is larger than in the other rooms, to ensure that all occupants have their own space. The room also has a complete bathroom with shower, washbasin and WC; an area with desk and chair, and all the necessary storage space in shelves and drawers. 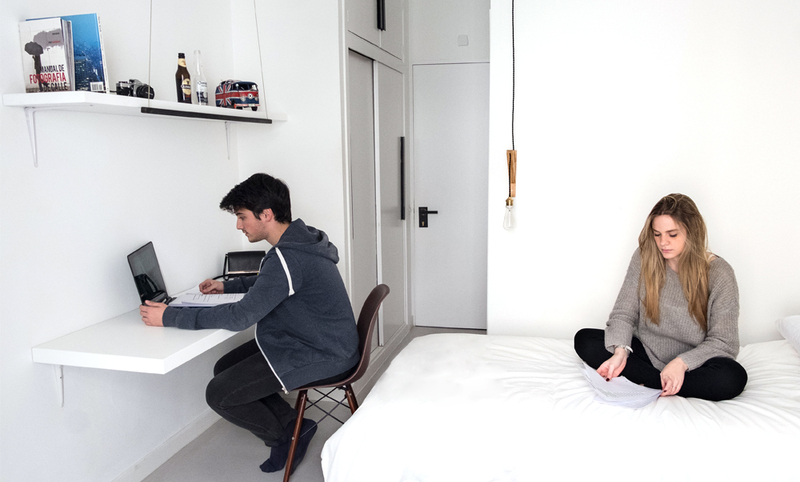 You can rent a student room and enjoy all the equipment included in the price.